Ya Jagoff!!! | Love Thy Neighbor As Thyself Or..... RUN HIS ARSE OVER! Home Neighbor Jagoffs Love Thy Neighbor As Thyself Or….. RUN HIS ARSE OVER! Love Thy Neighbor As Thyself Or….. RUN HIS ARSE OVER! Seems like it’s been FOREVER since we had a NEIGHBOR JAGOFF post or a NEWS PEOPLE JAGOFF! Anthony Pellegrino had a problem with his neighbor and his neighbor’s dog so he did what ANY neighbor would have done, he hopped in his car and tried to run over his neighbor, Frank Rhone and his dog, while they were out for a walk. Who needs a magistrate anyway? But wait! Pellegrino didn’t just give it one shot. He seemed to grasp the meaning of PERSISTANCE from watching Evgani Malkin in the Penguins game Sunday afteroon. After Frank and his dog jumped out of the way, Pellegrino threw the car in reverse and headed for Frank and the dog again!! 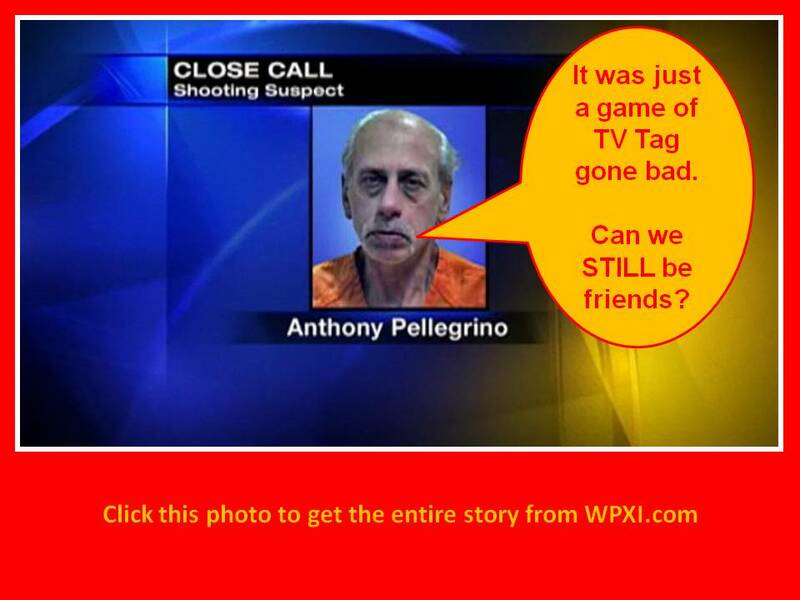 OK.. all of that’s a lie.. it turns out that Frank and Anthony have had a life-long game of “TV-Tag” going on in the neighborhood. Last night, Anthony was chasing Frank. Frank ducked down to avoid being tagged by Anthony and yelled “Dukes of Hazard!” At that point, Anthony took him seriously and went all “Boss Hogg” on Frank! Ok..tht’s a lie too! But what WOULD explain to neighbors acting like this other than them being .. well.. wait for it…. Frank and Anthony, you guys are the EPITOME of “there goes the neighborhood!” We recommend you guys sign up for a Seniors Hockey League at a local ice rink. Then, you guys can fight once a week— with no chance of going to jail—you only have to sit in a penalty box for 10 minutes each time, Ya Jagoffs! PLEASE BE SURE TO CLICK ON SHARE or FORWARD TO ALL OF YOUR YINZER FRIENDS! Previous articleDo We Really Know How To Drive? Next articleJagoff Drivers In Action.. REAL Video! The incident got carried way out of line because of my IBS ? ?